In August 1914 the Royal Flying Corps (RFC) began its deployment to France. On the 12th, the Corps lost its first casualties, when one of its aircraft came down soon after take off. Second-lieutenant Robin Skene and air mechanic Raymond Barlow, both of No3 Squadron, took off from the airfield at Netheravon in a Bristol monoplane at around 5.15pm. Shortly afterwards the plane was seen to bank sharply to the left, lose speed and dive vertically towards the ground. First air mechanic Arthur Frederick Deverill of the RFC saw the crash. He told the enquiry: ‘The aircraft lost speed while banking. This was the first time the machine had been so heavily loaded, but if precaution had been exercised flight would have been safe. Second-lieutenant Skene was born in London on 6 August 1891. 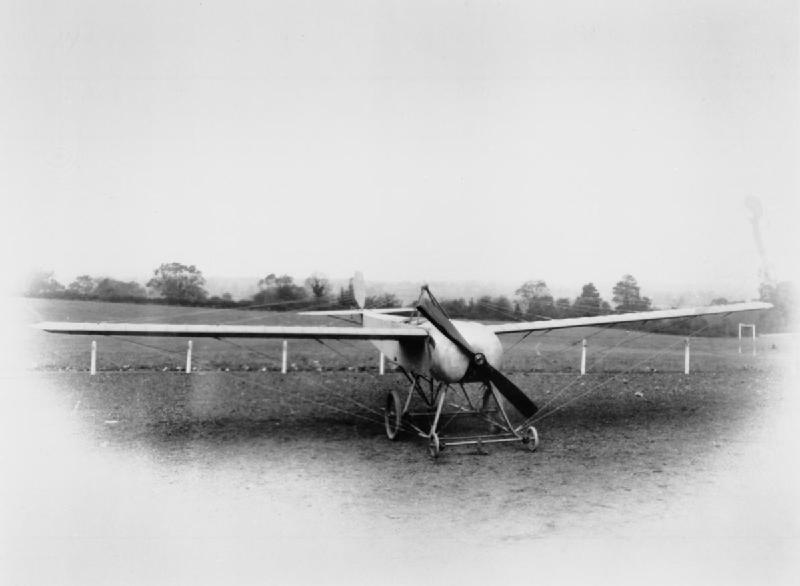 He trained at the Bristol School at Brooklands before qualifying for Royal Aero Club Certificate No 568, issued on 21 July 1913. He was the first British pilot to loop an aeroplane and worked as an instructor at the Bristol School. 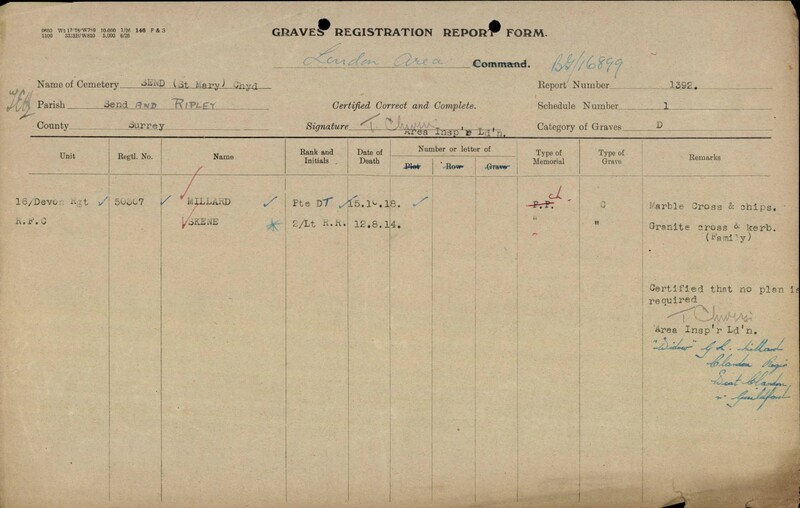 On 15 November 1913 he was gazetted as a second lieutenant in the RFC Special Reserve and was ordered to join No.3 Squadron when the Army mobilised. This entry was posted in News, Soldiers of the Great War and tagged Arthur Deverill, Bristol Monoplane, Brooklands, Centenary News, Centenary of the First World War, Netheravon, news, Raymond Barlow, RFC, Robin Skene, Royal Air Force, Royal Flying Corps in WW1, UK News, WW1. Bookmark the permalink.